SUNNYVALE, Calif. /California Newswire/ — For the first time since 2008, kitchens have become the number one remodeling project for homeowners, according to the "Fall 2012 U.S. Remodeling Sentiment Report" from RemodelorMove. But before you join the rush to remodel your kitchen, you should carefully consider whether the project is a good idea for your finances and family. To help you make the right decisions there are new and free tools available online to help you decide if remodeling is a good decision; estimate how much it will cost to remodel your kitchen, find, save, categorize, and share kitchen design ideas and pictures, and get answers to your remodeling questions. First, decide if remodeling is right for you. You should consider a multitude of variables, such as: Can we comfortably pay for this remodel? Is my family emotionally ready to deal with the disruption? Would it be easier or less expensive to move instead? Find out instantly with the Should I Remodel? decision-making calculator. Next, get a cost estimate. Remodel cost calculators are available to give you an instant estimate. It's important to get an estimate early in the planning phase to give you plenty of time to arrange your finances, compare prices on everything from appliances to countertops to cabinetry, and make sure your kitchen remodel is as budget friendly as possible. Make organization a top priority. You'll be dealing with a thousand tiny details, ranging from paint colors to cabinets to floor plans. Letting any one of these details fall through the cracks could mean extra expense and delays. Use the RemodelOrMove.com kitchen design photo search tool to organize your design photos and ideas. Bring in the experts for answers. You may find that talking with a real estate agent, interior designer, architect, mortgage banker, or remodeling contractor can help you understand the true costs and benefits of remodeling. If you approach your kitchen remodel with an eye for cost-effectiveness and organization, not only will you have a gorgeous new space to cook in, you can even increase the value of your home. 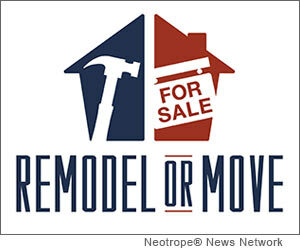 Take advantage of free tools for planning a remodel at: http://www.remodelormove.com/.